McDonald's has witnessed continued growth and high rates of customer visits as well as high rates of returns since its foundation in the 1940s. The company grew to be among the world’s most successful restaurants; becoming a pioneer in the fast food restaurant category. Over the years McDonald's developed from being just an American hamburger and fast food restaurant to serving millions of customers in over 120 countries in the world. However, times have changed and McDonald is experiencing a decline in its United States’ market. It is estimated that since 2012 the company has lost almost 500,000 customers. This decline in their market size and the number of customers that they serve has been attributed to a number of different factors. Among them are high rates of intensified competition from a pool of other fast foods as well as supermarkets which now sell packed foods. Other factors include frequent changes in customers’ taste and preferences, being viewed as a junk food restaurant and most importantly placing orders at the restaurant being time-consuming and cumbersome. The company, therefore, intends to implement new and different strategies to help in reshaping its image and save its fading brand name. To achieve this they plan on putting into use digital ordering kiosks in restaurants, expanding their deliveries and coming up with an app that will help in saving ordering time for the customers. They are in the process of developing the mobile app to be launched later this year, the estimate is that using the app, the customers would take only 10 seconds to make their orders, as compared to the current system which takes around 17 seconds. This would in a big help in reinstating the company’s convenience image it was known for since its founding years ago. More so, as the world goes digital so does shopping, in fact, studies indicate that the number of people who prefer to shop online rather going to the actual stores continues to rise over the years. Therefore having an option where customers can order food online from the comfort of their homes and offices will be the right move for McDonald's. 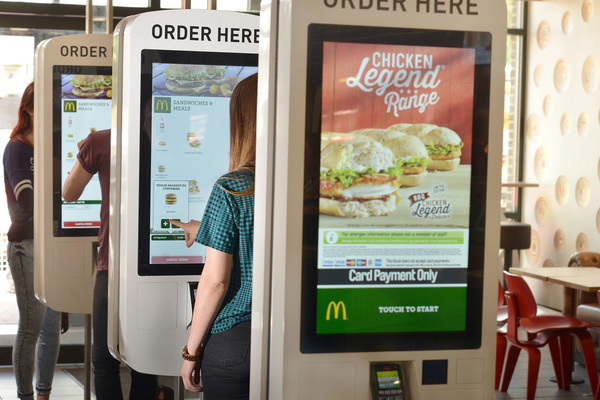 However, the major challenge for McDonald's is that ‘convenience’ keeps changing. What was convenient 10 years ago is no longer convenient today. It is, therefore, necessary to continue innovating while at the same time ensuring the changing customer needs are not only addressed but anticipated. One company making major developments in this sphere is Shoppi App. This is a unique mobile application that has been very effective in making shopping personal and comfortable for both the customers and the business. Shoppi App has been effective in many customers shopping journey. It provides services such as searching for things to discover them then buy them, chatting with the shopping community and exchanging ideas with different people on shopping. The app puts into use Artificial Intelligence to provide the customer with the best content that matches the customer’s needs. So far the app has 35.6K users, 17.7K products as well as 1,605 businesses that operate and run on it. This is a unique development in this sphere. The majority of other online shopping apps just link buyers with sellers. However, there is need to personalize buyer experiences shaped by own personalities such as friends, things you do and things you love. For businesses and companies, the app also serves as e-commerce software allowing the company to have full control over the business and allows them to Order Management & Realtime Stats. The app’s POS system gives the customer the power to manage their orders, all in one place, and enables the companies to see real time analytics; as such McDonalds will be able to use data from the analysis to improve their services and be more productive. Companies that are facing a challenge in innovating around this space such as McDonald's can also use the app for advertising and reach out to more customers. Shoppi App provides a platform for businesses to advertise what they have to offer. As such customers will see the new foods and drinks that the company has available and place their orders on the same app. Furthermore, the app allows the business to sync their social media accounts such as Facebook and Twitter to the app and that way they reach out to even more people. Shoppi App POS system is confident on serious reliability and is also always there to help out in case of any challenges along the way. As such, for McDonald's using Shoppi would a step in the right direction as it will make shopping, adverting and ordering for food a bit easier, reliable and convenient for both the customers and the company itself. Using the app would enable the company to reach to more people and serve even more customers at a time.